After months of delays, including a last minute request for companies to pay years of retrospective taxes (Spain has raised around 70 million euros in back taxes), the Spanish government finally granted its first wave of online gambling licences. Not surprisingly, despite around 60 operators having applied for a licence, amongst the first companies receiving licences for the newly regulated market were bwin.party, Sportingbet and 888 who forked out a combined €50 million in back taxes at the end May. In June Sportingbet paid €17.2m for the time it spent in the Spanish market between January 2009 and May 2012, with the grant of the eGaming license negating part of an injunction which was imposed upon Sportingbet’s Spanish business in March. 888 also carried out a self-assessment tax return and handed over €8.7 million to the Spanish government. However, it was the world’s largest listed online gaming company Bwin.party which paid a whopping €33.6 million in back taxes for its Spanish operation between January 2009 and May 2011. Back in 2011, Spain accounted for 4% of bwin.party’s revenues and now the company with a market capitalization of £985.12 million is eagerly anticipating re-entering the lucrative market. Future income from taxing online gaming will be a useful source of revenue for Spain as it struggles to rein in its deficit. The country is a major sporting power and revenues in the sector are estimated to be over 800 million euros in 2014, according to gaming association Jdigital (previously Aedapi). Despite having endured a frustrating wait, once the licenses were issued many companies immediately burst into life, such as PokerStars which had its PokerStars.ES option live at 9am, with all client migration in place by 11am. Spanish accounts trying to log in to the dot.com site were prompted to switch to dot.ES, and were given the ability to transfer their balances and VIP points over to the new site. PartyPoker went one step further, pushing out the update and balance transfers to Spanish players automatically. Under the new gaming regulation, stakes up to €5/10 are permitted, and most games can be spread. PokerStars chose to roll out stakes slowly, currently only offering up to €0.5/1, although all games but Badugi are available. Zoom is not present in the client, but there should be nothing in the Gaming Regulations that prevents it from being added at PokerStars’ discretion. Ongame also successfully launched, with two operators and four skins: Paf (who has struck a deal with Unibet to provide Spanish customers with online poker) and Goalwin, which is operating GoalWin.es, PokerLoco.es and PokerMambo.es. Betfair said it would pay a gross gaming revenue tax of 25 percent on its Spanish operations – a tax that the company has been paying since May 2011 when Spain’s new gambling act was introduced. The company, which recently won one of the first online gambling licences issued in Germany, last month said it had reached a 10 million euros settlement with Spanish authorities. 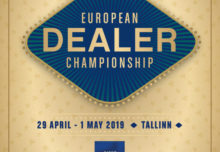 Betfair was also in a unique position as its Iberian Regional Manager, Sasha Michaud, represents the online gambling association, JDigital. Casino International Online (CIO) caught up with Sasha shortly after the announcement of the licences. CIO: Firstly, please can you tell us about your unique position during these negotiations? Sasha Michaud (SM) [left]: As representative of the online gambling association Aedapi (now JDigital) my position was to defend the interests of operators, consumers and payment and technology providers. With such a diverse membership, and considering the complex political structure in Spain, it wasn’t always the easiest task, but via proactive, progressive collaboration I believe we achieved good results. CIO: What, as you saw it, were the fundamental points that needed addressing within this legislation? SM: For a number of years the online gambling industry in Spain had been demanding regulation that provided clarity to operators and consumers. Our aim was to end up with regulation that was sensible for all stakeholders concerned, providing sustainable fiscal contributions to the Spanish economy, safe and innovative products for Spanish consumers, and gave responsible operators like ourselves the opportunity to run viable businesses in Spain. CIO: What represented the hardest part of this endeavour? SM: As is always the case, there were a number of different interests that needed to be taken into account. Land-based operators, erroneously in my opinion, thought of online gambling as a threat rather than as an opportunity while local providers were trying to protect their own interests at the expense of those wishing to enter the market. Generally speaking, we faced similar challenges that we do elsewhere in Europe when liberalisation comes to the fore, though ultimately the right result won out – with a market launched that offers opportunity for genuine competition to emerge. CIO: Do you think everything necessary is now in place for the region? SM: The regulatory framework provides a good basis for the gambling market yet there is room for improvement in terms of products on offer, taxation and issues around liquidity and deposits limits. Solving these would bring the Spanish market closer to an optimum level in terms of competitiveness amongst operators, value and safety for customers and financial gain for government. CIO: How important for Betfair was gaining the Spanish licence? SM: Obtaining a licence was a must for Betfair. Spain is a key country for us and growth there is a key element of our international strategy. We think the market has a lot of potential and we’re delighted to now be licensed there. Our focus now is on getting our Exchange licensed as quickly as possible in Spain and we’re encouraged by the regulator’s appetite to get this done. CIO: What specific products does this licence permit you to offer in Spain? SM: At the moment, we are able to operate a sportsbook and certain casino products but we are working together with the regulator to get our exchange and poker product operational in Spain shortly. CIO: How big a part of your business has the Spanish market been in recent times? SM: Spain is a significant market for Betfair – an international business with almost half its business coming from outside of the UK. CIO: Was there ever any doubt that you would receive a Spanish licence? SM: We were always confident we would receive a licence. We’ve been one of the most active promoters of the new regulation since it was first mooted and we’ve worked closely with the regulator, who to be fair has done an impressive job getting new online gambling regulation (which can be notoriously complex) off the ground. CIO: How large an issue was the back taxation? SM: It was unquestionably an unexpected hurdle that we needed to overcome but we’re glad we did so because ultimately regulation and the receipt of gambling licences will benefit our business long term. We always say that any regulatory road is not without its ups and downs, in any region not just Spain. What’s important is to take a long-term view which is something we as a business have always done. CIO: What are your current activities and future plans in this market place? SM: We have a recognisable brand in Spain that we are going to keep pushing, with the aim being to retain our position as one of the top players in the Spanish gaming market and to enhance it further still. It’s going to be a very competitive marketplace but that is what we’ve always wanted, not just in Spain, but anywhere. Competition breeds innovation amongst operators, and crucially, better value and choice for consumers. CIO: What do you think the future is for the Spanish market? SM: Like I said, the regulation as it is today is a good starting point but there are tweaks which can be made over time that will optimise the market to the benefit of operators, government and consumers alike. The market will be fierce and therefore if it wants to cater for a range of operators, it needs to ensure the taxation levels are right, the product range is wide enough and any limits or restrictions in place are proportional and justifiable. We’re encouraged by the talks we’ve been having with the regulator until now and we’re confident that we share similar objectives and ideas on how to achieve these. This bodes well for the future of the market. CIO: What do you think Betfair in particular has to offer this region? SM: Nowadays we are offering a complete sportsbook product and also a Casino but once our Exchange is licensed, we believe that we’ll be able to offer consumers in Spain the best value, most choice and most innovative betting products. We believe we have a brand recognised for integrity, responsibility and strong customer service. These are universal Betfair features which we intend to showcase to all our customers, whichever of our products they may be using. CIO: How important was gaining the Spanish licence to 888? Brian Mattingley (BM): Spain is an important market for 888 and we were pleased to get a licence. Our strategy remains clear – the future of the online gaming industry is in regulated, legitimate and safe online gaming environments, and we will work within these regulations. We have the right offering to obtain a significant market share in the Spanish market. BM: Casino, Poker, Bingo and Sport. BM: Approximately 5% in 2011. CIO: Was there ever any doubt that you would seek and receive a Spanish licence? BM: Spain has been an important market to us and, as long as the regulatory and fiscal environment was not too onerous, there was little doubt that we would apply for a licence, and we were always confident of receiving one. CIO: How big an issue was the back taxation? BM: We were somewhat surprised at two things – the timing and the use of legislation that had never before applied to online gaming operators. BM: As with all of our markets, we continuously analyse the performance of our products and target our marketing spend accordingly. Our initial focus will be on our Poker product, which has performed exceptionally well in all markets over the last 18 months. BM: In all markets that are bringing in new regulatory environments, if regulation is formulated in a way that allows operators to use their skills and expertise and to operate a full and comprehensive product offering we see a bright future. In Italy we saw significant growth in the market as operators were allowed to advertise and market their products, and we hope to hope to see similar trends in Spain. Our focus will be on our products and building significant market share. CIO: What do you think 888 in particular has to offer this region? BM: All of our product offerings are tailored to local markets – with specialist games and payment solutions. We also believe that we offer a different playing environment to our customers, with an emphasis on enjoyment, inclusivity and sociability that has helped to drive tremendous growth in 888Poker. CIO: How important was gaining the Spanish licence? Miguel Valdés (MV): Spain has always been high on our priority list when it came to international expansion. It’s a huge market with over 35 million adults and we expect to see very strong growth in Spain during the next few years. CIO: What specific products does this licence permit you to offer? MV: William Hill Online will offer our award-winning sportsbook and casino. The casino will include the three varieties of games approved by the government: Black Jack, roulette and baccarat. MV: We only dipped our toe into the Spanish market last year but we’ve already seen spectacular results and great acceptance among our target audience. MV: William Hill has always been a reference for the Spanish Government as a big responsible group, but it was a tricky process for all of the applicants. The licensing project changed several times during the process and the local land-based operators lobbied hard against the new regulations. However, we never doubted that we would be one of the successful licensees. MV: I think all of the operators believe there is no legal base for back taxation – especially for the international brands. Nevertheless, like the other brands, we needed to negotiate with the government in order to get our license. MV: We’re aiming to become one of the top three operators in Spain in the next few years and we will continue to use our existing customer-focused strategies to reach that target. MV: The governmental regulations need to evolve and adapt to the changing face of the world of gambling. The Spanish gambling market will become a very competitive environment over the next couple of years and we believe only the strongest will survive during this period. CIO: What do you think William Hill in particular has to offer this region? MV: William Hill is one of the oldest and most respected names in the world of gambling. We’ve been operating since 1934, and players across the globe know William Hill as a name you can trust. Our sportsbook offers the widest variety of sports betting opportunities in the industry and we’ll continue to offer the best local and international football betting product to Spanish bettors. Our casino products will be produced by Playtech solutions which will feature an exciting range of games for our Spanish players. CIO: How important was gaining the Spanish licence to PokerStars? Eric Hollreiser (ER): Obtaining a license to operate in Spain underlines PokerStars’ commitment to be among the first companies to enter regulated markets when licenses become available. ER: For competitive reasons I cannot provide any specific data on this, but Spain is one of the most important markets for us worldwide. Spain is home to some of the best poker players in the world. ER: We seek licenses wherever they are made available, so naturally we’ve been interested in Spain from the beginning. An operator can never be certain of regulatory approval and we would never assume that; what we can say is that as the leader in online poker and the most licensed e-gaming operator in the world, we bring tremendous value, experience and best practices to regulated markets, along with our track record in delivering a very safe, secure and exciting platform for poker competition. ER: We cannot get into the specifics of our discussions with the Spanish regulators, except to say that we have fulfilled all the requirements for obtaining our license. ER: We will continue to act as a responsible online poker provider in Spain, as we’ve been doing for the past few years. We will promote the safe and responsible use of our product and expect there to be a very healthy competitive market place, just as we have seen in the regulated online poker markets in France and Italy. ER: We are only at the beginning of the journey, but all indications are that Spain will be a vibrant online poker market. CIO: How important was gaining the Spanish licence to Sportingbet? George Hudson (GH): Spain is an important market for Sportingbet and being granted the licence was a key priority for the Group especially as it negated part of the injunction, which was imposed on Sportingbet’s Spanish business in March 2012. GH: In the first half of the current financial year (6 months ended 31 January 2012) Spain was the Group’s third largest market accounting for 9.4% of post-tax gaming revenue, after Australia and Turkey. GH: The tax related to 1966 and 1977 laws which the tax office only decided applied to internet gaming late in the day. The application of these laws and the amounts involved took some understanding before we were able to file the appropriate tax returns. GH: We are committed to the Spanish market, and despite the macro economic situation we believe it is an exciting territory where our customers love sport and love backing their favourite teams. CIO: What do you think Sportingbet in particular has to offer this region? GH: Best-in-class match access, competitive odds, multiple betting options, first-rate customer service and a really user-friendly interface. CIO: How important was gaining the Spanish licence to Prima? Loraine Schoevers (LS): In a market the size of Spain, it was always going to be important for Prima Networks Spain to get a license. We are pleased to have added a number of new and existing land-based Spanish operators to our portfolio. LS: We are licensed to offer games platforms to third parties for Casino, Bingo, and Poker. LS: No, it was a natural decision to enter the market given the business opportunities in Spain. With our pedigree and success in other regulated markets, we were optimistic about receiving a license to operate in Spain. 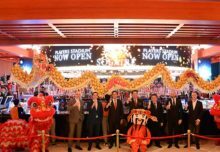 LS: We were there at the opening of the market and are offering market-leading products including blackjack, roulette, baccarat, poker and bingo through top operators including CIRSA Gaming Corporation, Ladbrokes, Interwetten, Stan James and Betway. Further operators will be launching with PNS in Spain shortly.